There are thousands of icons to enjoy in this massive bundle. 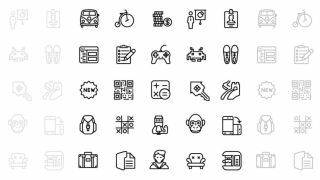 Want to access thousands of unique vector icons from a single platform? You can get just that for only $19 with Icon54: Unlimited Membership. Icon54's collection of vector icons are drawn by hand and include 101 different categories. Vectors are all designed with care and precision, and you can easily accommodate your needs by adjusting the colour, size, orientation, and shadow at your will. Choose from seven different file formats, giving you maximum flexibility. Best of all, you get to enjoy all these benefits for life, including access to new icons and upgrades as they come along. Get Icon54: Unlimited Membership for just $19.